Michael Wood uncovers the story of Alfred's daughter Aethelflaed, who led armies, campaigned against the Vikings and was a brilliant diplomat. In this second episode, Alfred's children continue the family plan to create a kingdom of all the English. The tale begins with a savage civil war in a bleak decade of snow and famine, culminating in an epic victory over the Vikings near Wolverhampton in 910. Filmed in the Fens and Winchester, Gloucester, Oxford and Rome, the key figure in this episode is Alfred's daughter Aethelflaed, the ruler of Mercia. 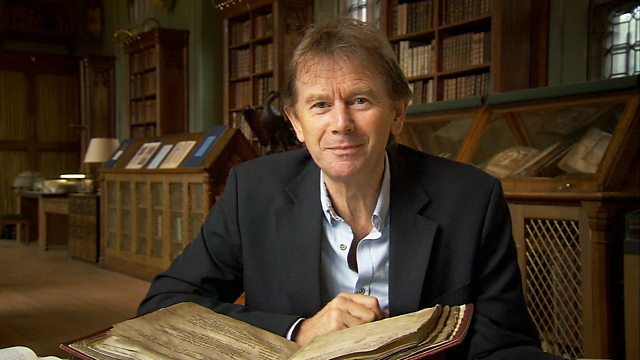 Michael Wood recovers her story from a copy of a lost chronicle written in Mercia in her lifetime which, in the film, we hear read in Old English. One of the great forgotten figures in British history, Aethelflaed led armies, built fortresses, campaigned against the Vikings and was a brilliant diplomat. Her fame spread across the British Isles, beloved by her warriors and her people she was known simply as 'the Lady of the Mercians'. Without her, concludes Wood, 'England might never have happened'.